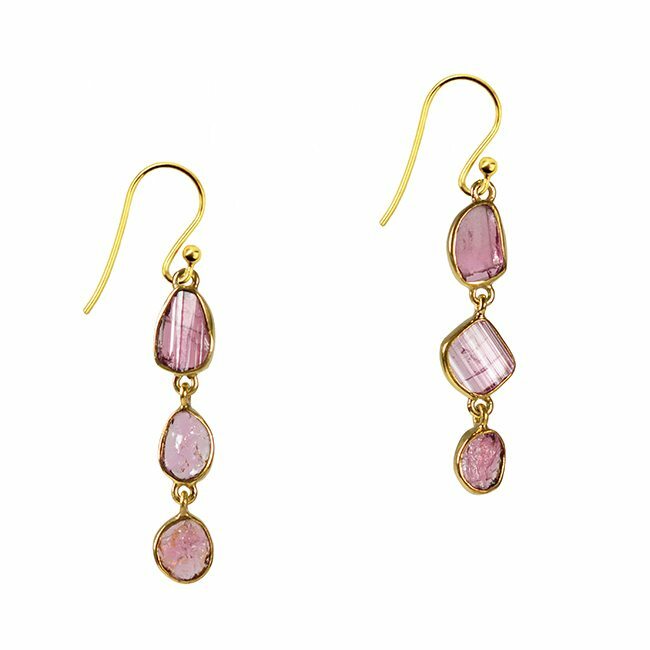 Affordable Pink Tourmaline Chandelier Earrings. 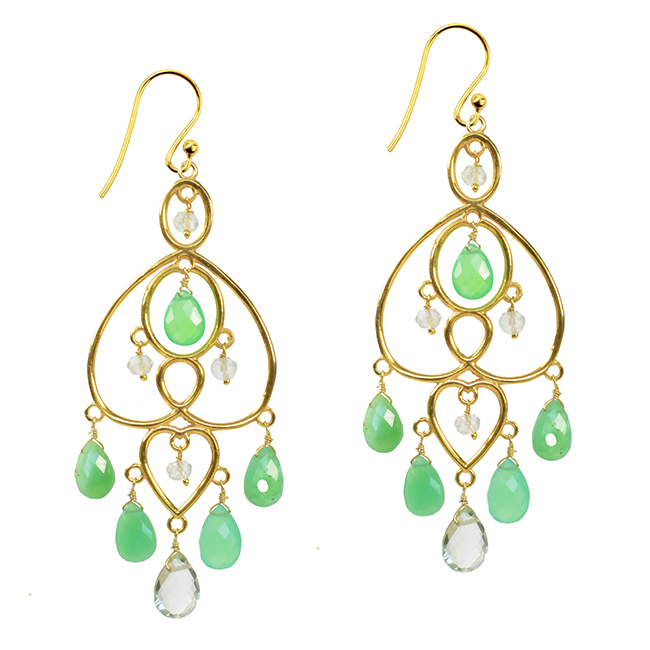 Designer Earrings. Handmade pretty Pink Tourmaline Chandelier earrings. Silver with gold vermeil setting. All our jewellery come in our branded jewellery box and hand tied with ribbon. 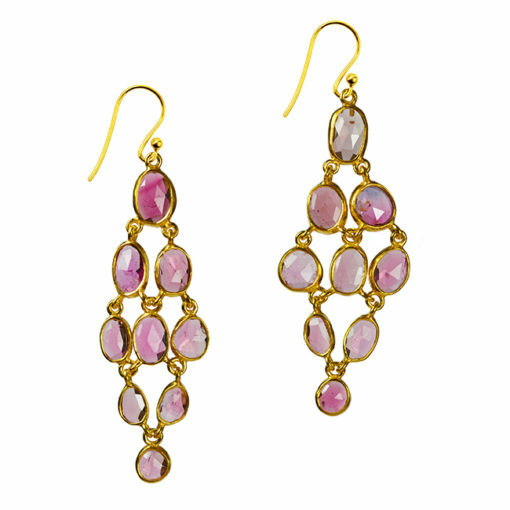 Tara Chandelier Earrings Pink Tourmaline. 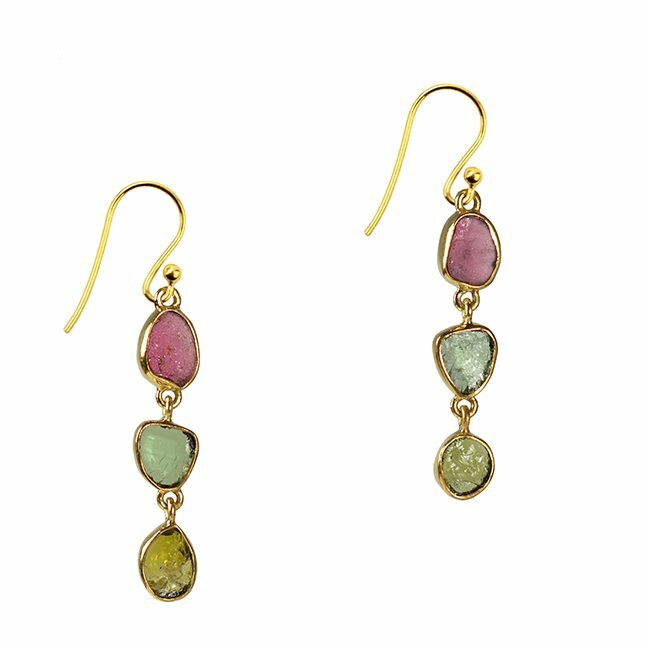 These Chandelier earrings are a limited edition, the lovely rose cut, Pink Tourmaline gemstones have been handpicked for their pretty colour. 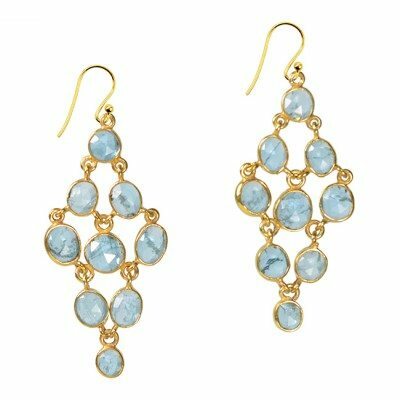 The stones are irregular in shape giving the earrings a wonderful sense of uniqueness.